In April, 1 week after its release date, ”En vacker natt” entered the Swedish album charts at No. 1. Now ”En vacker dag”, the second Nashville album has entered the album charts at No. 2 and it’s No. 1 on the vinyl charts! The album was No. 1 on iTunes in Sweden already on release day and it stayed there for some days and switched places with other artists’ new albums in the Top3 for days. You can listen to the album or get your copy here: Spotify, Deezer, iTunes, Amazon, Bengans, Ginza, CDON. Per Gessle’s Mazarin is No. 1 again! 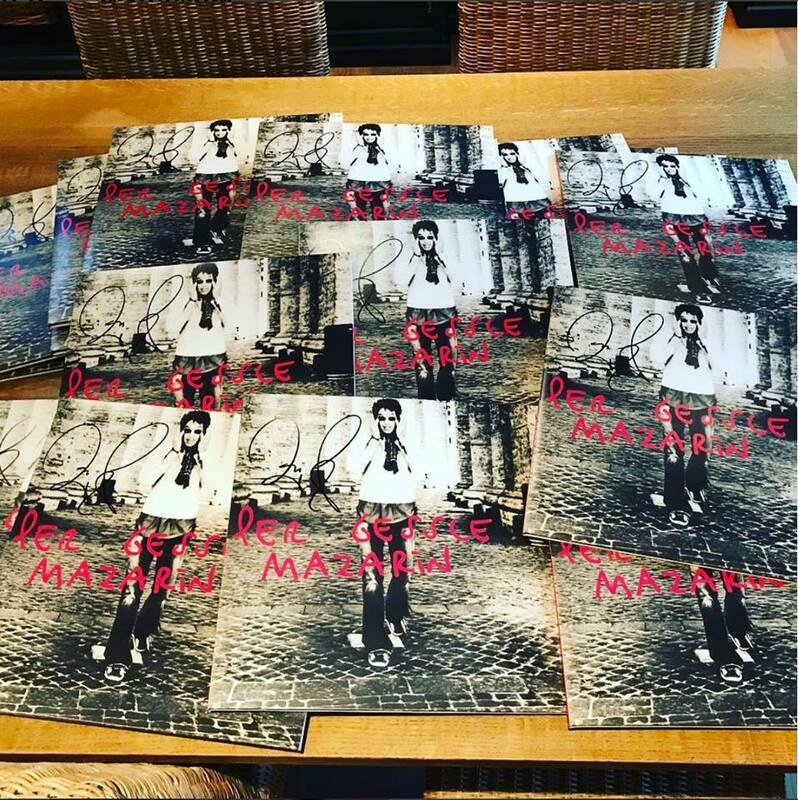 When Per Gessle announced the release of Mazarin on vinyl in the interview we did with him in May, we all got excited. The fans always wanted Mazarin on vinyl, but it never happened. Until 7th July 2017! 1 week after its release date, the vinyl is No. 1 on the Swedish vinyl charts and it brought Mazarin back on the album charts as well! Woohoo! How cool is that! The album entered the charts at No. 1 on 26th June 2003 and kept its No. 1 position for 11 weeks. I mean 11 weeks!!! Mazarin was on the charts for 66 weeks and came back as No. 1 on 23rd January 2004 for 2 weeks. Now for the 67th time it’s on the album charts again at No. 15! En vacker natt is at No. 21 now on the album charts and No. 9 on the vinyl charts. Big congrats to Mr. G! And thanks for this release from the bottom of our hearts! Good Karma entered the Swedish charts at No. 1 and No. 2! 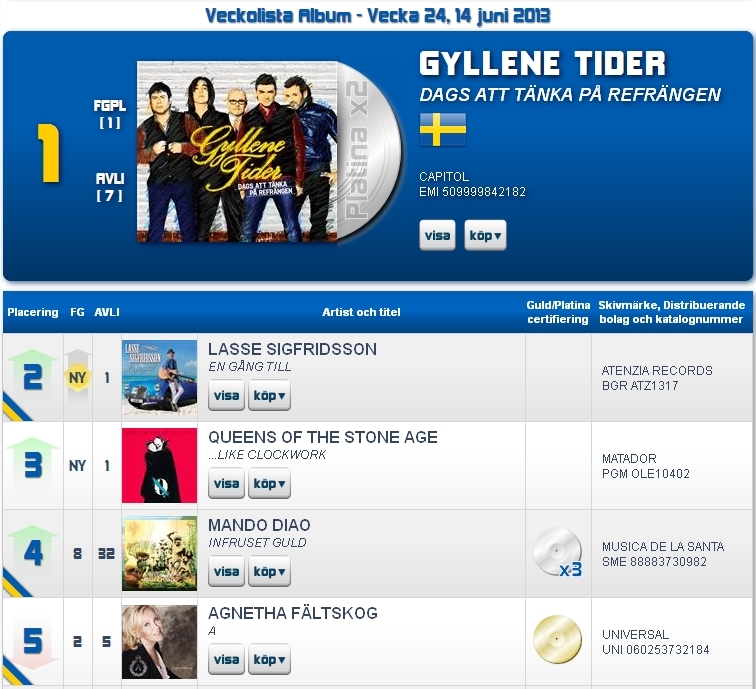 Roxette’s new album, Good Karma was released on 3rd June and so it’s the first week we can see it on the Swedish charts. The record entered at No. 2 on the album charts and at No. 1 on the vinyl charts! Yay! Fantastic news! 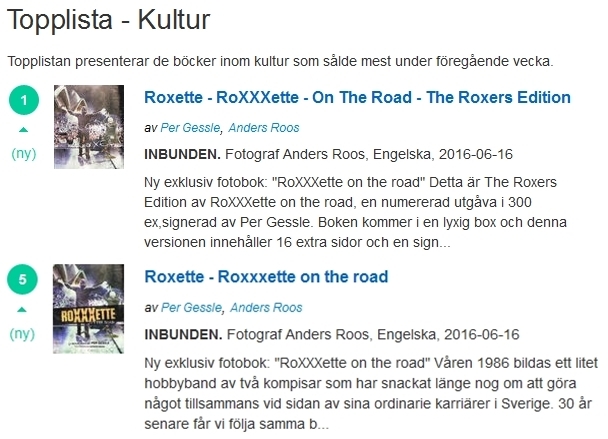 Let’s have a look back on Roxette’s studio albums, at which position they entered the Swedish charts. Except for Pearls Of Passion, Charm School and Travelling, all other albums popped up on the album charts at No. 1, all 6 of them keeping the position for several weeks. Entered the charts at No. 4 on 19th November 1986. Highest position was No. 2. Entered the charts at No. 1 on 2nd November 1988. Entered the charts at No. 1 on 10th April 1991. Entered the charts at No. 1 on 16th September 1992. Entered the charts at No. 1 on 15th April 1994. Entered the charts at No. 1 on 4th March 1999. Entered the charts at No. 1 on 12th April 2001. Entered the charts at No. 2 on 18th February 2011. Highest position was No. 2. Entered the charts at No. 8 on 30th March 2012. Highest position was No. 7. Now Good Karma put Roxette back on track and who knows, maybe next week it’s at No. 1 not only on the vinyl, but on the album charts as well! Wishing as many top position weeks as possible! Get the album at a record shop near you or at the following places: Bengans, Ginza, CDON, Amazon, iTunes, Spotify, Deezer. Update on 17th June 2016: 2nd week on the Swedish album charts: #12; vinyl charts: #5. 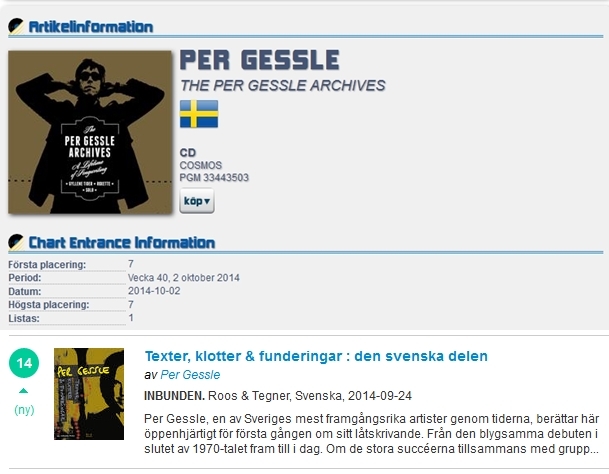 The Per Gessle Archives beauty box entered the Swedish album charts at No. 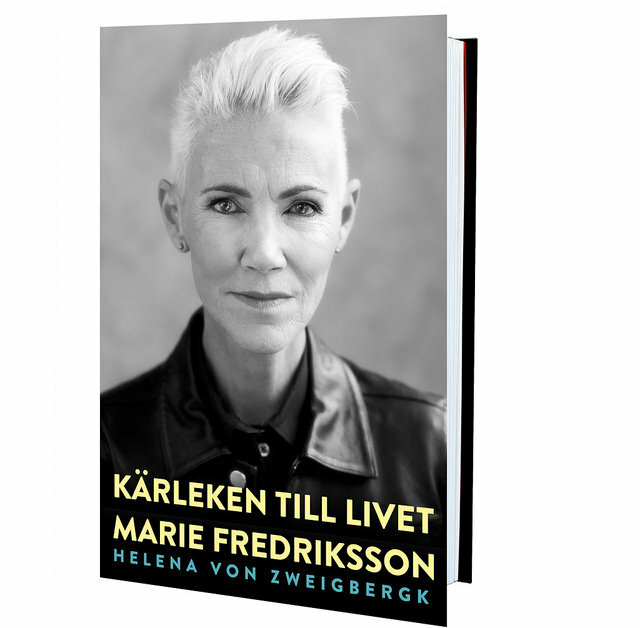 7 and the Swedish Per Gessle book, Texter, Klotter & Funderingar. 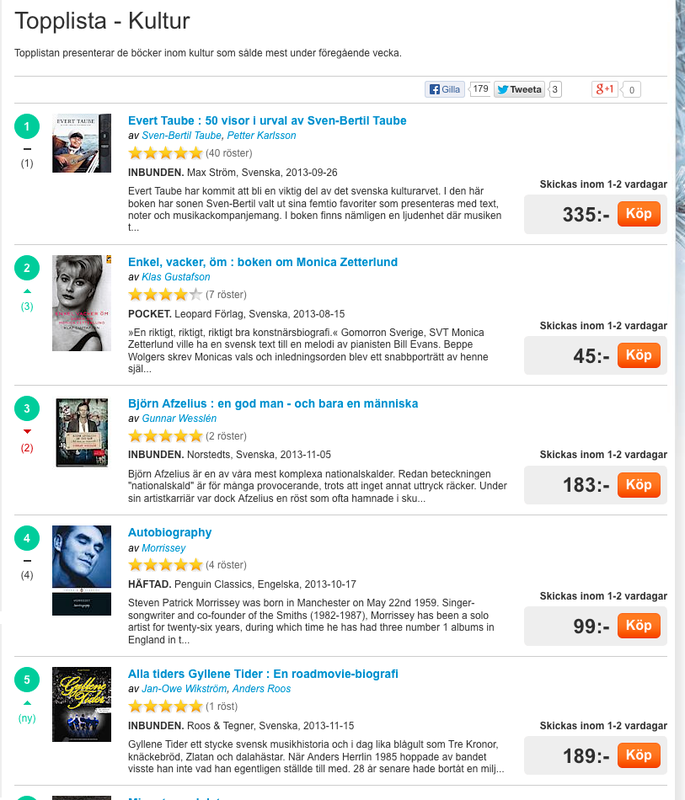 Den Svenska Delen entered Bokus’s charts in culture category at No. 14. The English book, Songs, Sketches & Reflections. The English Part is not yet on the charts, but let’s see what happens next week. If you are still hesitating about buying any or all of these 3 gems, don’t think any further! They are so worth being bought! Check them out e.g. at Bengans, Ginza or CDON! Great news. If you count the number of actual CDs sold last week the PG-Archives sold TEN TIMES MORE than the rest of the Top 10 combined. Unfortunately the CD box counts only as ONE CD…. /P. After 7 weeks at No. 1, then No. 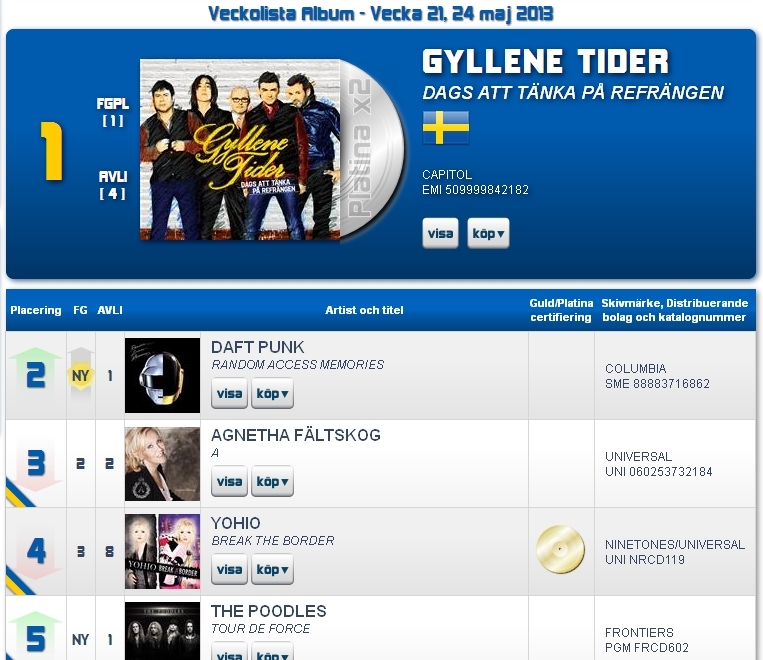 2 on the Swedish album charts, Gyllene Tider’s Dags att tänka på refrängen kept its No. 2 position. 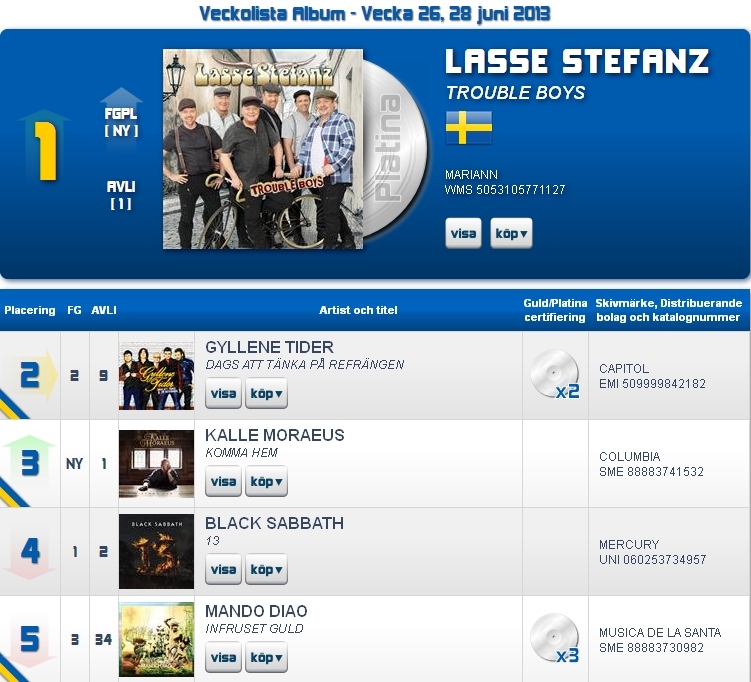 This week Lasse Stefanz entered the charts with a new album at No. 1. Check on Gyllene Tider’s official Facebook site how the guys celebrated their double platinum record at Leifs Lounge on 26th June. They’ve already sold more than 80 000 DATPR records. Gyllene Tider at No. 2 this week! 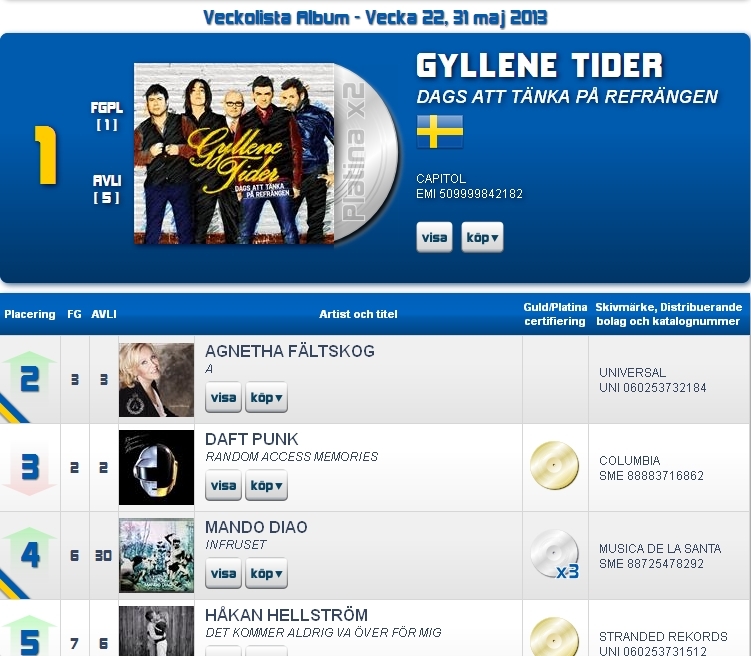 After spending 7 weeks at the top of the Swedish album charts, Gyllene Tider’s Dags att tänka på refrängen is No. 2 this week. 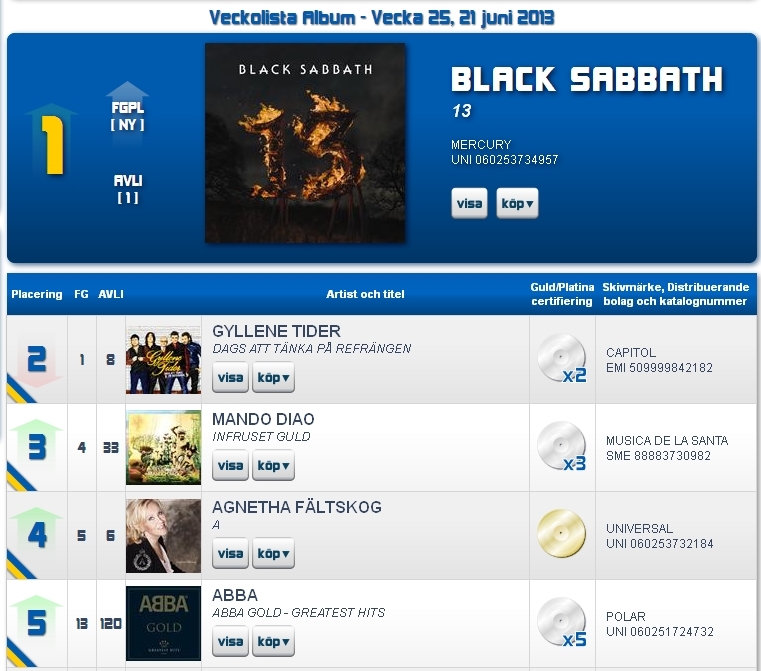 You can find Black Sabbath’s new album (13) at No. 1. GT’s 6th studio album can still be No. 1 next week, just think back that Finn 5 fel! was No. 1 for 6 weeks in a row, then it was No. 2 and became No. 1 again for one week. The already gold, platinum and double platinum DATPR record entered the charts on 3rd May, 2013. Gold status in Sweden is for the achievement of 20000 record sales, platinum is for 40000. The Official Swedish album chart is based entirely on physical sales (no Spotify, no iTunes etc. ), while the official singles chart is the opposite, based on streaming (since there are hardly any physical sales – only vinyl sometimes). Pls note: iTunes has, for some reason, decided to stay away from both official Swedish charts. Fingers crossed for DATPR climbing back to No. 1 next week, but wherever the album is landing, it’s still No. 1 for us! Gyllene Tider is still going strong at No. 1! Gyllene Tider’s latest album is still No. 1 for the 7th week in a row! The already gold, platinum and double platinum record, Dags att tänka på refrängen entered the Swedish album charts on 3rd May, 2013. Gyllene Tider’s previous studio album, Finn 5 fel! was No. 1 for 7 weeks, but ”only” for 6 weeks in a row. Guys, you are unstoppable! Congrats! Weekly routine: Gyllene Tider is still No. 1! Gyllene Tider’s latest album is still No. 1 for the 6th week in a row! The already gold, platinum and double platinum record, Dags att tänka på refrängen entered the Swedish album charts on 3rd May, 2013. Gyllene Tider’s previous (5th) studio album, Finn 5 fel! was No. 1 for 7 weeks (6 weeks in a row, then No. 2, then No. 1 again for 1 week). F5F! is a gold, platinum, double platinum and triple platinum record. Can they beat Finn 5 fel!’s results? There is a good chance! Congrats again to the guys! 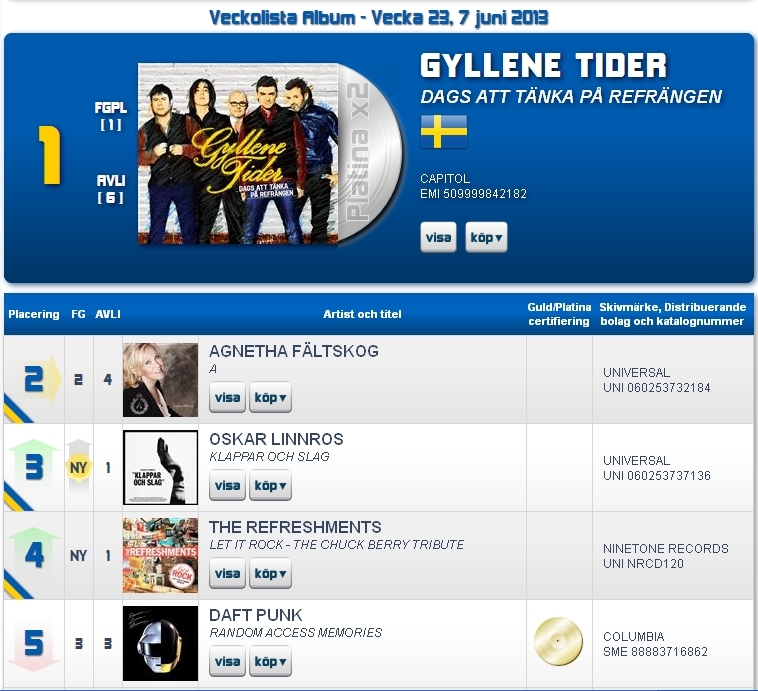 Gyllene Tider #1 in Sweden for the 4th week! 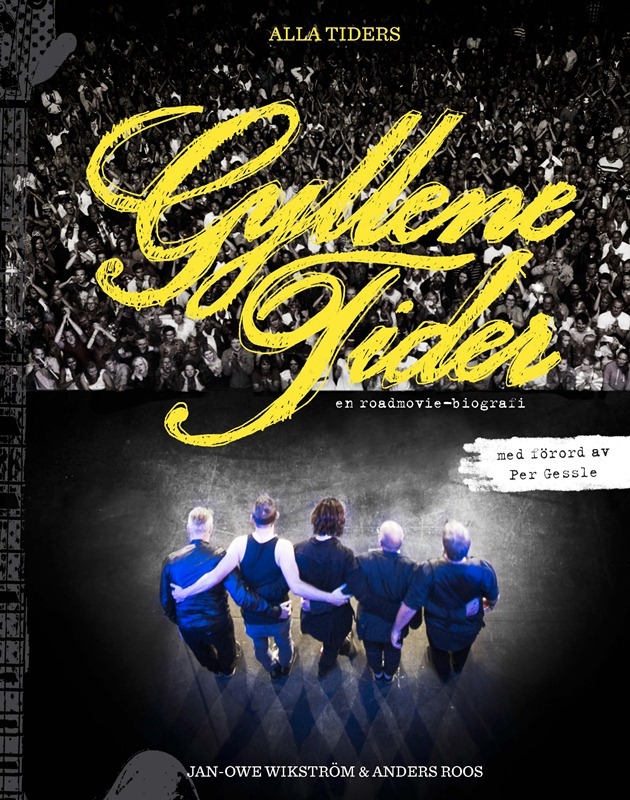 Gyllene Tider’s latest album is still going strong. The album entered the Swedish album charts on 3rd May, 2013 and since then it is staying at the top of the chart for the 4th week in a row. 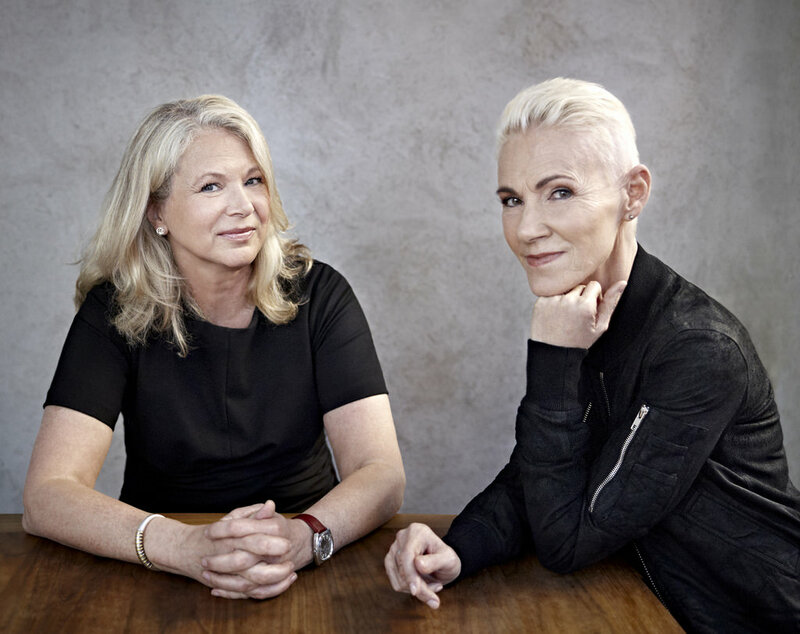 21.26% of the albums sold this week was “Dags att tänka på refrängen” and it is now a gold, platinum and double platinum record. Tjoho!